It's Pep Rally week and we are here today to share a sampling of the NEW Paper Smooches July/August release with you! FIVE new stamps and EIGHT new dies are releasing soon. Our new stamps and dies will release at midnight (eastern time) on June 30. (12:01am on July 1st EST) You will find our new releases HERE. Deadline: You have until midnight MT on Sunday, June 29th to leave a comment. Please check the Paper Smooches blog on Monday, June 30th to see if you are one of the FOUR lucky winners. Stitched dies - I added stitches to the leaf, pumpkin and Chains frame die. You are going to freak out over this new set of stitches dies. Thank you so very much for stopping by friends! Uhu, love your PS releases......soooo tempting. What a fun Halloween card!!! Posted about the blog hop on my blog! OHHHHHHHHH KIM! I can't wait to see this release! SUPER FUN card <3 YOU ROCK! That little stitched pumpkin is adorable! What a super cute Halloween card! Can't wait to see the new release! Cute Halloween dies and stamps. I can't wait to see more of the stitches! What a cute Halloween card! That pumpkin is just too adorable! Really fun release and the stitching on your card is so cool! Such a fun card, love the cool design!!! What a cute Halloween card! Looking forward to the releases! What a lovely stamp set is Blissful Banners! Love this card is so fun and pretty at the same time! Can't wait to the entire release. Tweeted about the blog hop, too! Thanks for sharing. Also tweeted about your hop! Looks like a really fun release. Adorable Halloween card! That little bat is so cute. Love what I've seen so far. This release looks super cute! Fantastic hop and I LOVE your card! Too cute! This is so exciting! I love a new release and it looks like Halloween themed...love it! Thank you for sharing - break out the Halloween stuff!! I love the new release!! Oh I love that sentiment! Such a cute card! Thanks SO much for the chance at such a GREAT prize! I've hopped around to all the DT blogs...such gorgeous creations! I tweeted and FB about the blog hop too and will add about the hop to my blog sidebar! this is sooo fun!! I LOVE the idea of stitching dies!! I can't wait to place my order!! 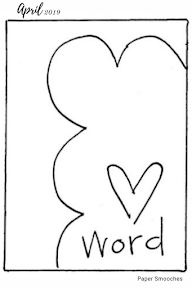 Like the whimsy card. Like the dimension. Like the fun fact about city in Kansas. We just got back from moving our daughter out of her college apt in Kansas City, MO. Wonderful Hop! I just finished it and the designers all did a phenomenal job! This was a great hop!!! Great stamps and dies and TALENT!! I've heard of Christmas in July, so I guess why not Halloween in June! Cute card! And what a great blog hop! Enjoyed seeing all the great cards and pages. This was a fun blog hop. Lots of inspiration out there. I LOVE everything I have seen Kim!!! Can't wait to see the full reveal!! Your card is absolutely adorable!! Cute card and a fun hop! Love those stitches...great dimension with the bat. Cute card....love the blue with the traditional colors! Enjoyed the hop and looking forward to the release! Super cute! Great cards and layouts - can't wait for release! I am loving the stitching! Great layouts too! This was a really fun blog hop! You have great designers on the team! 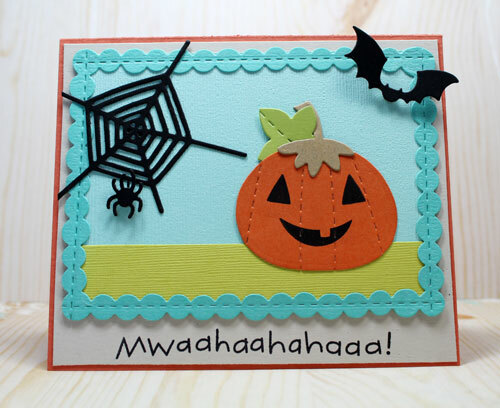 Fun colors on your Halloween card! Can't wait to see how the stitches set works! A fun hop...off to check out your designers. There is great looking new stuff on this fun card! Can't wait to see the full release! I can imagine myself using those Halloween dies at least once a year! fun hop! thanks for the ideas--love the new dies! Looking forward to see your new products. LOL..love the sentiment...made me laugh. Such a fun card! off to hop! How cute! Thanks for the fun hop and all the great new products! So many great new stamp sets and dies - can't wait to see Kudos and Blossoming Buds in full amongst all the others. i love the halloween set and dies the most can't wait to get them!! I can't wait to order!!! Fabulous hop. Great new products. Cute card, and great fun fact! Such a fun card to showcase the new release! Fabulous! I shared your blog hop on Facebook!! What a FUN card!!! Love! Kim amazing new releases as always! Fun hop. Thanks for the inspiration. what a great release! All the designers did a fabulous job! I am hopping around the hop cute release! This post was so delightful! Love the project, details and the pass gas! :) Happy Friday thanks for spreading smoochies! What a great set of dies and I love how you have used them on your card! I mentioned your DT Hop on my blog. 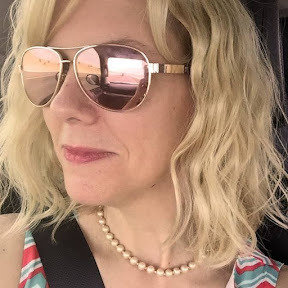 A fun blog hop. Thanks for having it. Enjoyed seeing all of the new releases and how they were used. I like the colors on your card. Great release and blog hop. halloween card .... my favorite time to make cards to send to friends. Great blog hop. Lovely inspiration. Love all the pages and cards. FUN & FABULOUS card Kim!!! WOW - these new dies look AWESOME!!! Off to hop! Love the Halloween cards I've been seeing this week with the new releases. This blog hop is amazing, the projects of the DT is so inspirational! Always exciting to see a new release from PS! Thank you for another super fun blog hop, and great inspiration from the talented DT! Fantastic hop. Such great variety in this release. Can't wait to see the full reveal this month. I've had some trouble posting comments here today! Trying again 3rd time is a charm! Love this card! The Halloween Icons are bound to be my favorite along with the Stitched dies! I love Halloween and fall! And the Ghoulfriends stamp set looks adorable... can't wait to see more! Cute card, love the colors! Thanks for a great blog hop.